Barney Rubble would never report his neighbor, Fred Flintstone, to the Bedrock code inspector. 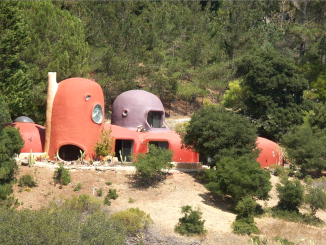 And in Hillsborough, the neighbors of the modern-day Flintstone House didn’t complain to the town about the dinosaurs that owner Florence Fang had put on the front lawn. No, it wasn’t a neighbor who complained. 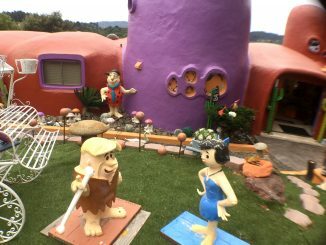 It was a town code enforcer who spotted the prehistoric animal statues outside the iconic house at 45 Berryessa Way, and wrote up Fang for violating the town’s code, Hillsborough’s assistant city attorney said yesterday. It was during a property inspection in late 2017 when Hillsborough officials noticed that Fang, the former owner of the Independent and Examiner newspapers, had added the large metal dinosaurs and made other changes to the property. • a deck, and other additions to the front and backyard. A town employee spotted the additions when he visited to check on the height of a wall she got a permit to build, according to Assistant City Attorney Mark Hudak. Since Fang’s work involved more than 10,000 square feet on the property, it was determined that she should have sought the planning department’s approval for the changes, according to documents filed with the lawsuit. The town issued a total of three “stop work” orders, Hudak said, which in the end resulted in the lawsuit filed earlier this month. 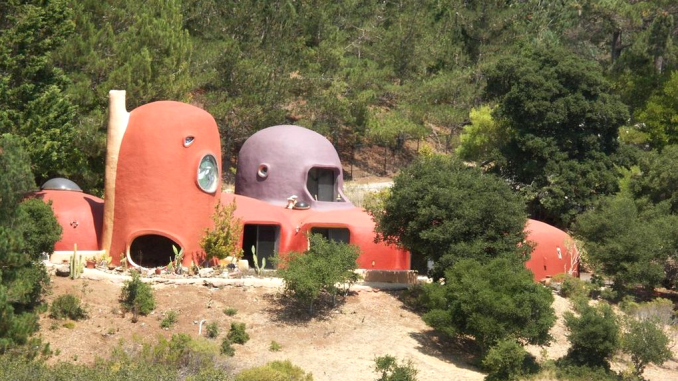 While the town was the one to tell Fang to take down the dinos and other landscaping, her neighbor, Garbis Bezujian, who lives on Berryessa Way, said at an October code enforcement panel meeting over the house that Fang ought to comply with town planning regulations. “(Bezujian) stated that the landscaping appeared to be outside the norms for the town and creates a lot of questions. He stated that at least some of the landscaping was visible from his property,” stated the minutes of the meeting. Fang’s attorney, former San Francisco Supervisor Angela Alioto, told the Chronicle that she will be filing a counterclaim against the town. “What gives them a right to say what she can put up in her private backyard?” Alioto said, according to the Chronicle. Such a silly and petty thing. The homeowners need to be left alone. Let’s talk more about the construction of the home (not the only one in the state) and the beneficial reasons for having a home like this. What kind of exterior decor would the plaintiffs prefer? An English cottage garden? Might work. Or perhaps some Xere-scaping might be more to their taste. Oh, but wait, they don’t live there and they are not responsible for the maintenance – the homeowners are. May not be my style, but it’s a well maintained property so , back off you snobby whiners! Must be nice to have noting better to do than to worry about stuff like that!! Right? ?